"Mr. Knudsen, what percentage of your recruits have earned more than $700? Are you qualified to recruit?" The following report is based on consumer inquiries, consumer complaints, business registration documents, a corporate website review, and a review of the members section of workingtalent.com. AWT is very similar to Wilhelmina Scouting Network (WSN): they are advance-fee scouting companies that solicit money in many states across America. 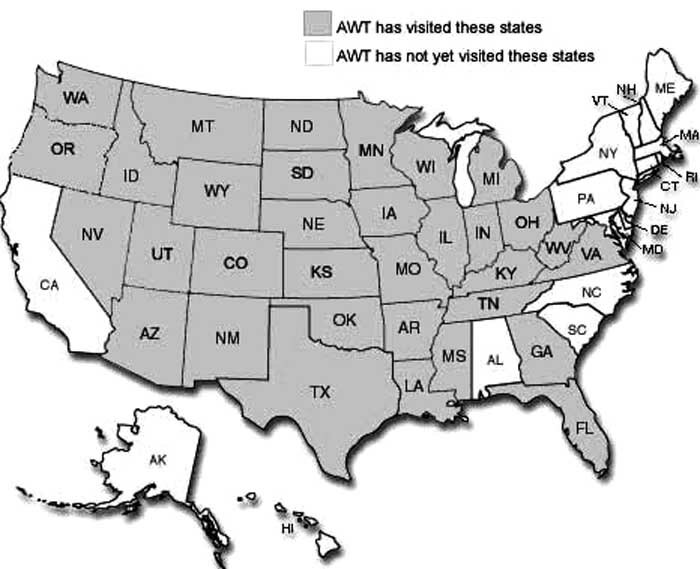 AWT claims to have 4,000 recruits: "If you are interested in accessing over 4000 model and talent profiles from all over the country, click here." So far there has been no response. They claim to market talent. After you attend their open calls, and you are "selected," they want you to pay them for photography and then you'll get your picture on their website. This supposedly will market you and help you get work, because, theoretically, people will visit the website to get you work. AWT, which operates at workingtalent.com, has been asked how many of their talent are working. Fair question? Do they live up to their name? Is the name fraudulent or not? What percentage of young, innocent, hard-working Americans earn more than they invest in AWT? 1. How many people have paid Association of WORKING Talent? 2. How many of them have got paying work through Association of WORKING Talent? 3. How many of them who have got paying work through Association of WORKING Talent earned more than they paid Association of WORKING Talent? Consumers have been under the impression Association of Working Talent (AWT) is a model agency. One person wrote: "Please provide me any information you may have on this model agency. They are conducting interviews in Meridian, MS, this weekend." AWT, according to its own website, is not a model agency. They may look like, act like, and talk like a model agency, but they are not, they claim, a modeling agency. They hold model searches, tell people they are what they are looking for, and conduct interviews, but they evidently do not have an employment agency license, which is something every company which holds themselves out as being able to get consumers work must have in the state where they are based (UT). My sister recently went to a model search and they said she has "exactly what they are looking for." They say they are not a modeling agency, but a photography and marketing company. Do you have any information on this company? They want $595 to do the head shot, and four poses for a comp card, and training in the business. Thanks in advance. The name of this company is Association of Working Talent out of Utah. "Exactly what we are looking for" is a common pickup line. If this company is not an agency, what business do they have telling anyone, "You are exactly what we are looking for"?! If they are not an agency, they do not book talent. If they don't book talent, they don't know what clients want. If they don't know what clients want, they don't know "Exactly what they are looking for." Consumers should note that in at least one state, a company which was travelling around from another state doing the same type of thing as Association of Working Talent, offering seminars and collecting fees for photography, had its meeting broken up by the local police, because they were doing business without a local business license. Make sure Association of Working Talent has a local business license if they visit your city, before you attend a meeting, and especially before you give them or pay them any money. I was reading up on this company and upon my findings, all people was being charged $595.00. I just left one of their seminars tonight and they are wanting $700.00 for head shot, comp card and some training. Quite a big difference from last year. What I also discovered is this company is out of Utah and was conducting business in Columbia, Missouri. After driving two hours to the motel, we were to start at 4:00 pm. I thought to myself, "Wow, there isn't hardly anyone here." The advertisement said "dress to impress." Not one person besides our party was dressed. They didn't get started till 4:35 pm, had us all read a line and told us to go home and come back at 7:30 pm. That we had made it to the second round. My first impression was was: "Hardly anyone was there and everyone who was there made it to the second round." I thought to myself, "Well, should I or shouldn't I go to the second round?" My impression of it all from the get go was unprofessional lack of organization. But I thought, "Hmm... is this for real? Do we have a chance?" So I decided to sit through round 2. We got there at the time told. Only for us not to get in till 8 pm. Then we sat through three hours of their seminar. We were told to call them at 8:15 in the morning to see if we are selected. And if we are we are to be back tomorrow with six changes of our own clothes for photos. My impression is that everyone is chosen. As long as they come up with $700.00. So how can they take our money just over the weekend and say we now have a chance to be a model? Is this a scam? Do you know of anyone who has paid AWT and become successful? "Comp card photography at a reasonable rate is $250-$300. (That includes everything, makeup and hair.) You can get it free (TFP) or for the cost of the film. If you pay $650, you are being gouged. Source: various, incl. Joel Wilkenfield, President, Next Model Management, New York, 2002." "Well," I thought to myself, "while I was there what was I going to wear if selected and how am I going to come up with six outfits? Plus the upfront fee?" Anyway I was wondering if this company is legit? AWT does what agencies do: a model search and a selection process. But that doesn't mean you'll get any work. For all you know you'll just be left with pictures and no work. Ask them how many people they have got work. In your city, in the last year. Ask them to prove it. "Employment Agency" means all persons, firms, corporations or associations who operate for the purpose of procuring or obtaining for money or other valuable consideration, either directly or indirectly, any work or employment for persons seeking the same, or to otherwise engage in such business, or in any way to act as a broker or go-between between employers and persons seeking work. This legal definition is broad and somewhat vague. Where it says "indirectly" it could certainly apply to AWT. The company's name includes the word "Working" so it's obvious they exist to get people work. The reason why people pay AWT is to get work. Employment agencies of course exist to get people work. It is possible that AWT needs to have an employment agency license. d) Any other charge or fee of a similar nature. They are in Savannah, GA, and they [...] me out of $350 as a down payment to attend a training for my son to become a model. If I had read this mail three days ago, I might be $350 dollars richer. They are scheduled to come back in about two weeks. I was reading your "background information" on the company AWT aka Associated Working Talent and had to pat myself on the back! This group came through Arkansas on Easter weekend '04, and my daughter and I went to their seminar to see what it was all about. 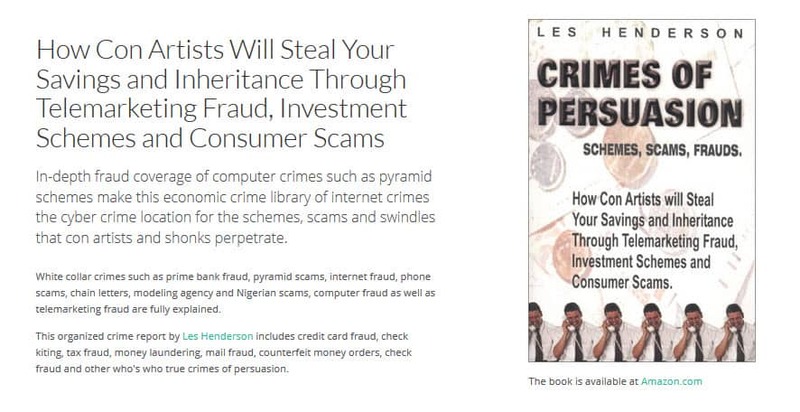 I had my reservations upon arrival as we had been to several of these so-called modeling/talent scams before just to see if they the real thing. As a parent you hope and pray for your child's sake that they are real; there's nothing like a hopeful kid being disappointed in the end by these types of people, it's very unfortunate. The times broadcasted on our local radio station was 4 pm - 7 pm. Well, we arrived right at 7 pm due to some wrong directions to the hotel. Upon arrival, we were informed that we were late and that they had already made their selections. I relayed that we were given wrong directions to the location and had driven an hour to get there... after hearing our plight, we were automatically given an "in" to the second round... ha ha, I knew by this time that this was a [...] by all means. My daughter had high hopes, though, and I wanted to see how far these people would go, so we stuck around. Well, they handed out these sheets that had to have your child's picture on it, naturally not many people carry their own picture around to give away so they commenced to take polaroids of everyone charging $3.00 per person!!! There were at least 60 people at this second audition. I made myself loud that I wasn't going to pay $3.00 for a polaroid picture, that if we would've known on the radio broadcast that we would have brought one. Well, by the time they got to the last 10 people or so, they mysteriously ran out of polaroid film and we were told that they would take our pictures in a little while. The pictures were taken during the seminar and we were not charged. The seminar commenced with all the pep you could imagine and all the while they were taking pictures of everyone in the room randomly... I wonder if there was even film in the camera. They stated that they wanted to see everyone in a natural state on photo paper in order for them to make their selection. The seminar was 2½ hours long. They gave some tips on "working talent" and what we should be looking for, doing to get noticed, etc., etc. Ha Ha they even told us that we can use our movie theatre ticket stubs as a write off to the IRS... just write "research" on the back of the stubs saved throughout the year! The last five minutes of the seminar was all about the investment of all of this... it was $700.00 or if you wanted to pay in two installments of $350.00 or they would only charge you $595.00 if you paid upfront. They said you needed to make a "call back" at 8:15 am the next morning to find out if you had been selected and the seminar ended. I waited around afterwards to grill them with some questions and caught the attention of the photographer and so titled "casting director." I spoke with him for approximately 10-15 minutes about their company, etc. He assured me that they were legitimate, on and on. I told him that if my daughter was selected that I really wasn't comfortable with giving them that kind of money without researching them some more. I was trying to hint to him that I did NOT want my daughter selected, as I did not want to suffer the repercussions of it when I didn't want to give them the money they asked for. Well, the next morning came and my daughter had been selected... I asked them how many had been selected out of the group and the gal stated that she would have to count them all, and then came back really fast with only 12 were selected. I told her that I didn't have that kind of money to give to them and her response was that she could make it three installments for us that she didn't want money to be what interfered with my daughter's selection. Naturally my daughter was upset when she found out that this was her "big chance" and Mom wasn't going to give them the money and the blame was placed on me! I told her to call them and tell them that if they really think she will get work from their services to front the money requested and recoup it when she made her "hundreds and thousands" stated the night before. She contacted them back and requested that they pay for her "package" and they told her that they 'didn't have that kind of money' and that they 'did not have any sponsors' when she inquired if they had sponsors that could assist with the money involved. Now this is over and daughter if fine. I wonder, though, what is going to happen to the pictures they took of all of these people? The polaroids stayed in their possession even though all of the people except for the last ten paid for their pictures for the second audition forms. And if they were actually taking pictures of the candidates during the seminar, what are they doing with the pictures they took??? Can I request my daughters polaroid picture and the pictures they took of her during the seminar? What is my recourse on this? Thanks for your time in reading this as it is quite long. And any info on the pictures would be greatly appreciated. I WENT TO THIS THIS SEARCH WITH 3 KIDS AND ONLY 1 MADE IT. THE VERY NEXT DAY THAT SOMETHING WAS NOT RIGHT. GUY WHO TOOK A POLAROID THE NIGHT BEFORE! ARE TELLING ME NOT TO PAY THE LAST $350, AND BELIEVE ME, I'M NOT! THEY WILL BE BACK IN BATON ROUGE APRIL 16TH AND 17TH FOR THE TRAINING. AND, ALSO, IF THEY WANT ANY MORE OF MY MONEY THEY HAD BETTER SEE ME IN COURT! MAD IN BATON ROUGE, LOUISIANA!